With every mountain stage, particularly in grand tours, fans line the roadside, often waiting for hours, even days, for the action to unfold in front of them. But as anyone who watches these stages from the comfort of their sofa knows, there’s nothing more worrying than seeing well-lubricated fans running in front of, behind and beside cyclists who are climbing their heart out for a stage win or time on their rivals. For the most part there are no incidents, but then today we had at least one (that we know of) that may have changed the outcome of the stage. 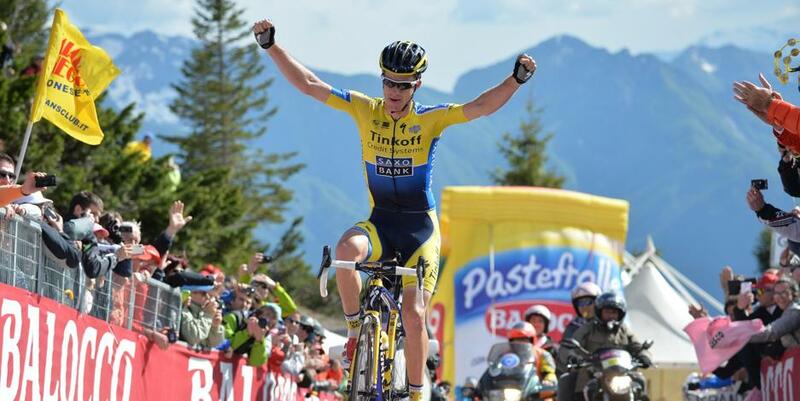 At the 5km mark, Mick Rogers (Tinkoff-Saxo) and Francesco Bongiorno (Bardiani-CSF) shook off Franco Pellizotti (Androni Giocattoli) and were out in front on the Zoncolan, after the rest of the breakaway group that they were in splintered down the mountain. It was clear that the winner of the stage would be one of these two riders. With just under 4km to go, Bongiorno attacked, Rogers kept with him then went to the front. This is when an over-zealous fan – ironically in a replica World Championship jersey – gave Bongiorno a push, which caused him to wobble and unclip to stay upright. Rogers rode away and went on to his second solo win. I was just following Michael Rogers and waiting for the right moment to attack. The incident came at the most difficult point on the climb and I completely lost my balance and momentum. It really affected my concentration and rhythm. 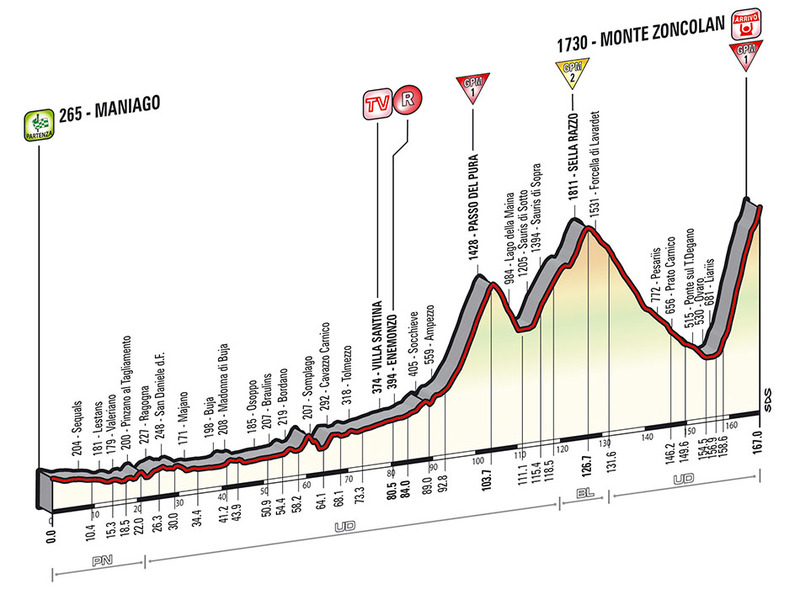 With the Zoncolan’s gradients in the double digits, suddenly being knocked off his pace and having to almost stop and then start again meant that Bongiorno never had a chance to get back to Rogers and would finish the stage in third and in tears. Just one fan, who could be seen holding his head when he realised what he had done, ensured he would not win the stage. Could he have won if that hadn’t happened? Rogers looked the stronger of the two so perhaps not, but surely this will be a ‘what if?’ stage that will forever haunt Bongiorno. And the guy in the rainbow jersey? He kept trying to push riders all through the stage. 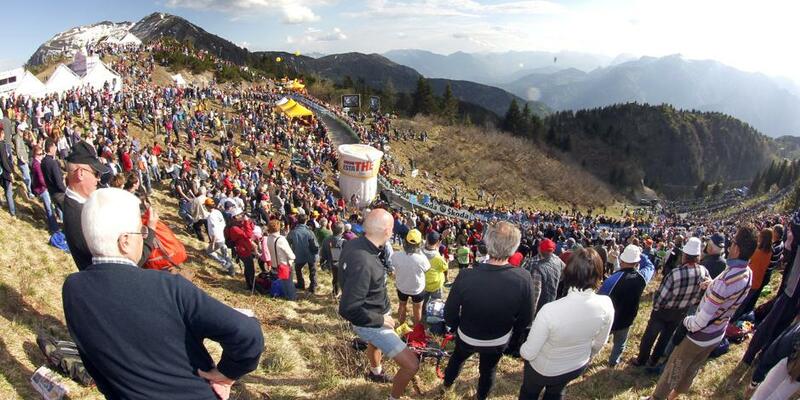 Throughout the entire climb of the Zoncolan, we saw fans getting too close for comfort to the riders. There was an incident nearer the start of the climb when a fan tried to give Quintana a push or a hug or something and although Quintana’s facial expression never changed, his fury was noted with the way he lashed out and pushed the fan away, almost losing his balance. What would have happened if Quintana had gone down? We saw riders continually yelling at spectators to move, including Rogers who had a few choice words for fans who were impeding his progress. Wout Poels (Omega Pharma-Quick Step) actually took a particularly active fan’s sunglasses and threw them over the mountain in a rage. Today’s stage was where the joie de vivre of the crowd ceased to be a joie to the men on their bikes. With such a demanding climb at the end of a crash-stewn Giro, you can forgive the guys for lashing out. Perhaps this will make fans on the roadside at the Tour de France think twice about running alongside the riders. But I doubt it. Unfortunately it seems to be the price everyone has to pay for being able to watch this magnificent sport up close and unencumbered – and free. One thing we’ve noticed over the past year or so is that, of all the WorldTour teams, Movistar have learned the most from Sky’s tactics. Today, they didn’t exactly ride at the blistering tempo of Sky in the Tour, but they were single-minded in their drive throughout the stage. Keep Quintana safe and up front. Judge the attacks and only go after the ones that count. Don’t waste men or energy. And they did a great job. They drove up the pace on the way to the base of the Zoncolan to keep their man in front, knowing that the roads were narrow and therefore dangerous and then they stayed with him long after everyone (except Uran) was isolated and alone. Every man on that team can be proud of their performance for Quintana. There will be lots of champagne for them tomorrow. It would be easy to say Mick Rogers but I’m going to go for one of those unsung heroes of the day: Wout Poels. No, not for the sunglasses incident (although he gets extra points for that). It’s the fact that once the rest of the GC contenders fell away from Uran and Quintana, it was Poels who rode interference with the fans to help clear the way for the race’s top two and set a pace that ensured no one was going to get back to them. I’m sure no one would have blamed him for just doing a little turn and then falling away, but he rode hard for what seemed like ages on that mountain. Because that’s what super-domestiques do. Another reason to love the sport.